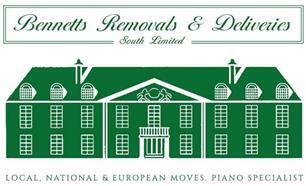 Bennett's Removals and Deliveries South Ltd - Removals/Storage based in St. Pancras, West Sussex. We are a professional and honest removal company working in the Chichester, Selsey, Bognor and West Sussex area for the last 25 years. We provide a removal service, packing/unpacking service, storage, transportation of goods whether that be local, national or international. As well as providing removal solutions for domestic properties we are also available for business and commercial moves. No job too big or too small. We are fully insured, members of the National Guild of Removers and Storers and only use trained, full time personnel. Not casual labour.